Backsplashes are a very important element in any kitchen. Whatever you do in the kitchen, you will eventually find yourself facing it. Needless to say, it has to look good. However, you can’t go over the top with a backsplash design or you risk getting tired of it. As a kitchen remodeling contractor, we have our own favorites when it comes to backsplashes. When it comes to a backsplash, ceramic and porcelain tiles will always be one of the top choices. They come in a wide range of shapes, colors and size, so you can definitely find the best ones for your kitchen, regardless of the style you’re going for. However, be prepared to regularly clean grout. This choice is best for modern kitchens. Back-painted glass makes for a sleek and easy-to-clean backsplash, and since you’re not using tiles, you won’t have to deal with grout lines. The reflective properties will also give your kitchen a unique appeal. If you are concerned about kitchen remodel costs, here’s a cost-efficient option for you. Thermoplastic backsplash is very easy to install, so you can expect lower labor costs. The material itself is also affordable. It comes in various designs (we like the faux metal ones because of their uniqueness). However, this material can deform when exposed to heat, so you can’t install it behind the stove. Stone is one of the go-to materials when it comes to backsplashes. Whether you choose natural stone slabs or manufactured stone veneers, they will not fail to give your kitchen a classic and timeless look. Stone slabs can be a bit pricey, though, while veneers are difficult to clean. 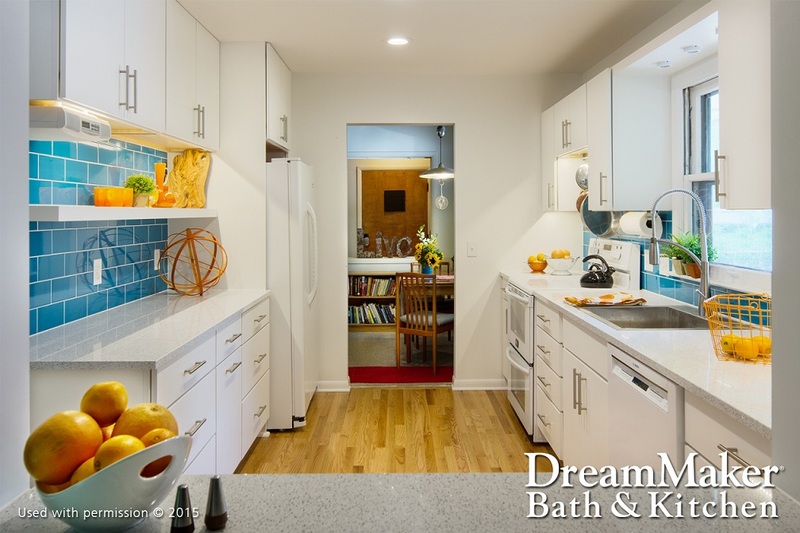 From backsplash installation to complete kitchen renovation, DreamMaker Bath & Kitchen of Orland Park has got your needs covered. Get in touch with us today by calling (708) 320-3417 to schedule a consultation.